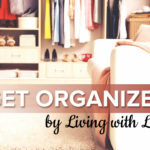 We homeschool year round at our house, but usually around mid-summer I get the itch to start planning for the next school year. I think about how things worked out the previous year, and if there are any changes that I would like to make for the upcoming year. One of the things that has been on my mind is the accessibility of my stuff. I usually keep all of our current books in a large basket on the bookshelf. But once I sit down to start reading to the kids, I have to either bring several books with me or get up between books to get the next one. I don’t mind getting up and getting the next book, but I have noticed that when mama gets up, even for a second, the kids scatter like ants. And their focus is completely gone. To remedy the situation, I decided to place several books in a magazine holder at the side of my seat. 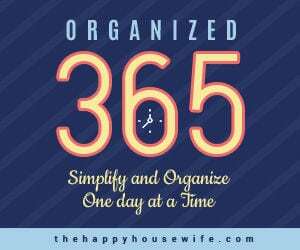 I can now keep my books, worksheets, maps, and pens all at my fingertips as we move from one lesson to the next. 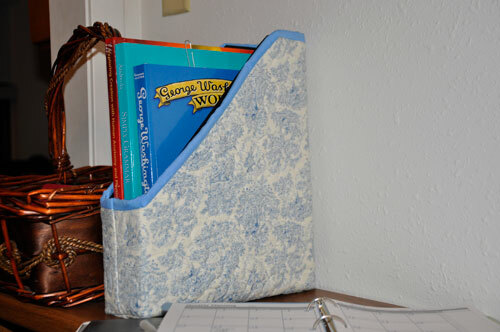 And because I didn’t like the look of black plastic, I came up with a cute magazine holder cozy to jazz it up a bit. I was so pleased with the results! 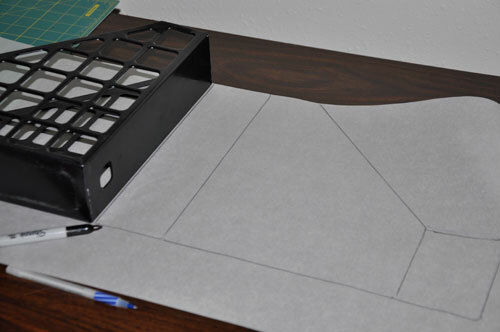 Lay paper flat and place magazine holder top center – trace with sharpie. Lay magazine holder on it’s right side, keeping the edge lined up on the previous tracing – trace with sharpie. Flip over once more so that the front is facing down on the paper, again keeping the edge lined up on the previous tracing – trace with sharpie. Move magazine holder back to center and lay it on it’s left side, repeating the previous steps. Note: When you are finished tracing, you will have traced the back once, each side once, and the front side twice. 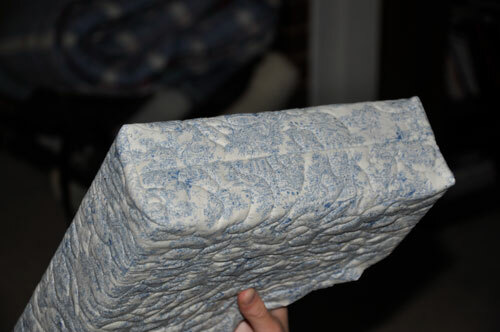 Lay down “inside” fabric, face down. Lay down “outside” fabric, face up. Lay down pattern on top. 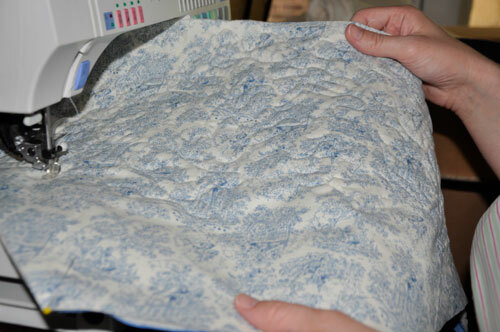 Note: Make sure the fabric and batting are smoothed out and that there are no wrinkles in them. 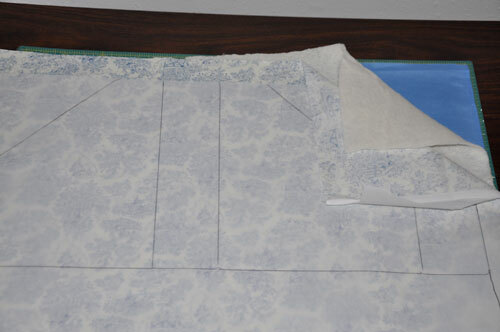 Also, make sure the pattern fits nicely over the fabric with a bit of room on all edges. Pin pattern to all three layers of fabric. 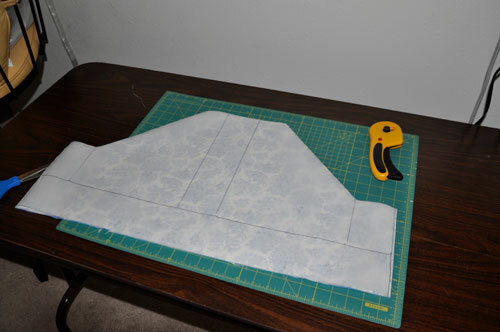 Cut out fabric along the *top* of the pattern – DO NOT CUT the bottom of the pattern. This can be as fancy or as simple as you would like. 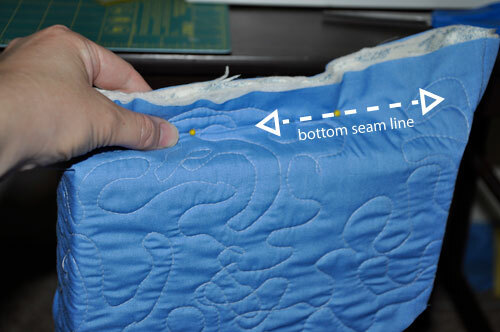 Practice your freehand quilting skills or simply sew lines up and down the length of the fabric (I suggest every one inch). Cut a 2 1/2 inch x 36 inch strip of fabric. Bind the top of the fabric. Need help with your binding? 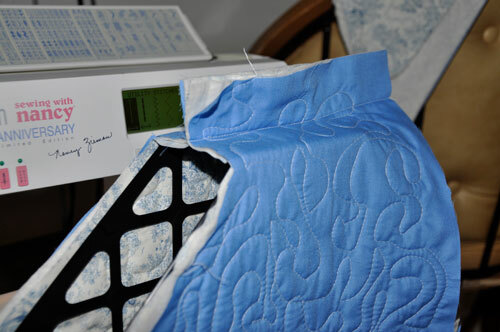 Here is a great quilt binding tutorial to help you out. Now is also the time to add any pockets to your cozy. 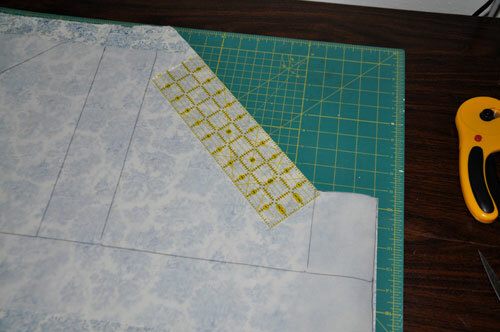 Turn fabric inside out and wrap around the magazine holder (the edges should meet in the front). Making sure the edges of the fabric line up, pull fabric taut, and pin fabric together where it meets. Gently slide off of magazine holder, then sew across using the pins as a guide (if you would like, you could use chalk to mark where the pins are, then sew). 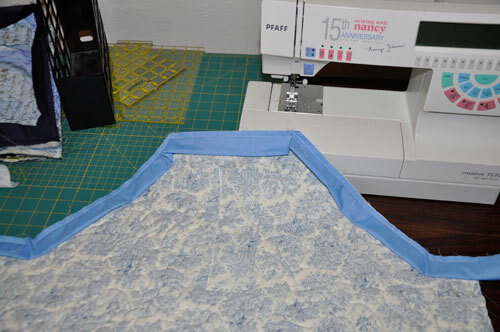 Once sewn, slide cozy back onto magazine holder and repeat the steps above for the bottom seam. 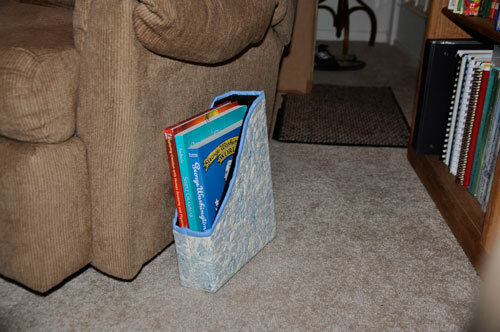 Slide cozy back onto magazine holder. 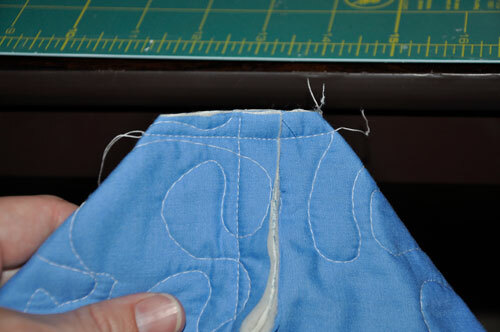 Lay bottom seam to one side, then grasp corner flap. Pin (and mark if desired) at the corner edge. 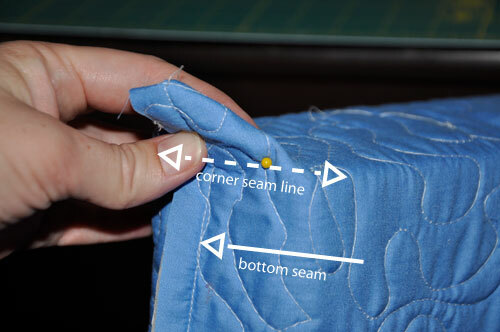 Sew across corner seam line. Trim corners leaving 1/4 inch seam allowance. Turn inside out, pushing out corners. Insert magazine holder in cozy.